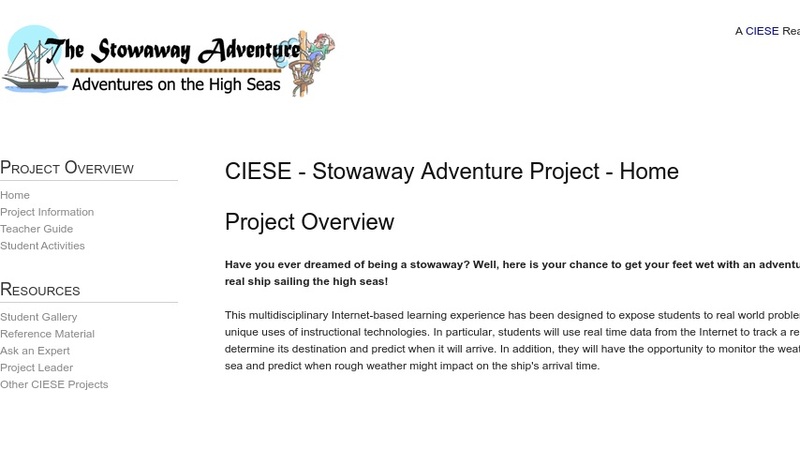 In this multidisciplinary Internet-based project, students use real time data from the Internet to track a real ship at sea, determine its destination and predict when it will arrive. The unit consists of six core activities that aim to teach students how to access and interpret real time marine data. Complete lesson plans are included, as well as detailed directions for teachers on how to access maritime data online. The enrichment lessons include three interdisciplinary writing/ research activities which the students can complete independently.